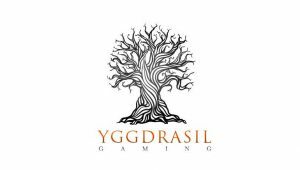 Vikings go to Hell - Nobody does Viking Slots like Yggdrasil! Nobody does Viking slots like Yggdrasil! Indeed, if you’re an avid casino player, you already know they’ve released two other Viking slots before launching this one. What’s more is that the previous Viking games were extremely popular with British players, and their latest addition is no different! Indeed, Vikings go to Hell makes everyone talk because of its fantastic features. So, to know more about this achievement builder slot read the full review below. Achievement slots are not for casino newbies, even if they’re super fun! Because they offer complex features and even experienced, players need to look at the paytable before playing. Without a doubt, this one is no different! But below you’ll find more information on the frequently triggered bonuses. First, let’s talk about the rage points because you’ll probably wonder what they’re about since you’ll instantly receive 50 rage points when you launch the game. In essence, you’ll win 1 rage point every time you trigger an extra wild during the battle feature in the main game. Also, know that landing a treasure chest on the fifth reel can give you as much as 30 rage points for all Vikings depending on the game mode. Filling up a meter will instantly give you 7 Free Spins where the Viking will always win the fights! They’re two ways you can trigger the bonus. Indeed, know that landing a treasure chest on the fifth reel will activate the Free games. But also 3 or more Free Spins symbols will trigger the feature. Additionally, know that the numbers of Free rounds you’ll play increases with the number of Free Spins symbols you got on the reels. While you play your Free Spins, your goal is to defeat the daemon to progress through the multiple levels, and the pay table will give you more info on that. But know that during the feature you’ll play a minimum of 7 Free Spins with Sticky Wilds and you can also re-trigger the Free Spins. Yggdrasil knows how to challenge players! And a great thing about this slot is that your progress in the game is saved across multiple casino session. So, it’s worth trying it because the more you play, the better features you’ll unlock and the more you’ll win! And because this game has a lot to offer you’d be wise to claim a casino bonus to try it! Have fun!